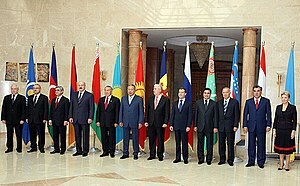 ^ "Free Trade Agreement Between Azerbaijan, Armenia, Belarus, Georgia, Moldova, Kazakhstan, The Russian Federation, Ukraine, Uzbekistan, Tajikistan And The Kyrgyz Republic" (PDF). 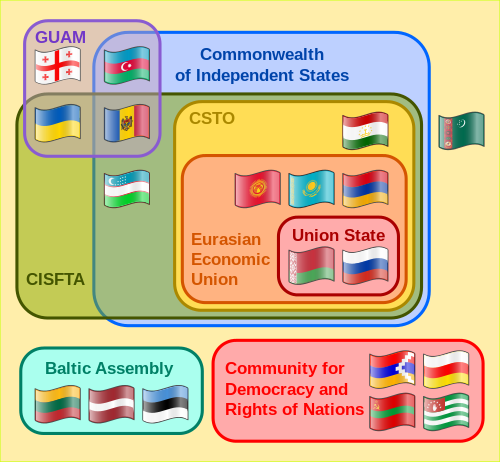 Archived from the original (PDF) on 16 May 2011. Retrieved 23 July 2013.